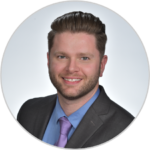 A transportation safety plan is important, considering Southern California is amidst its rainy season. 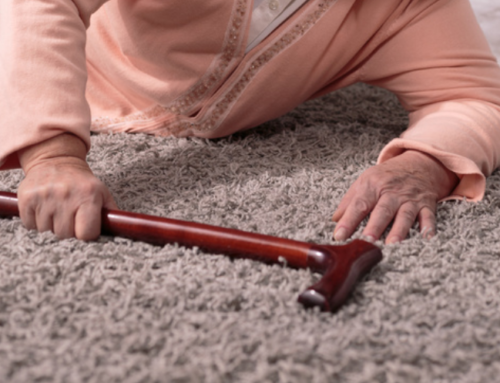 The elderly & new drivers are statistically more probable of being involved in a MVA (Motor Vehicle Accident). 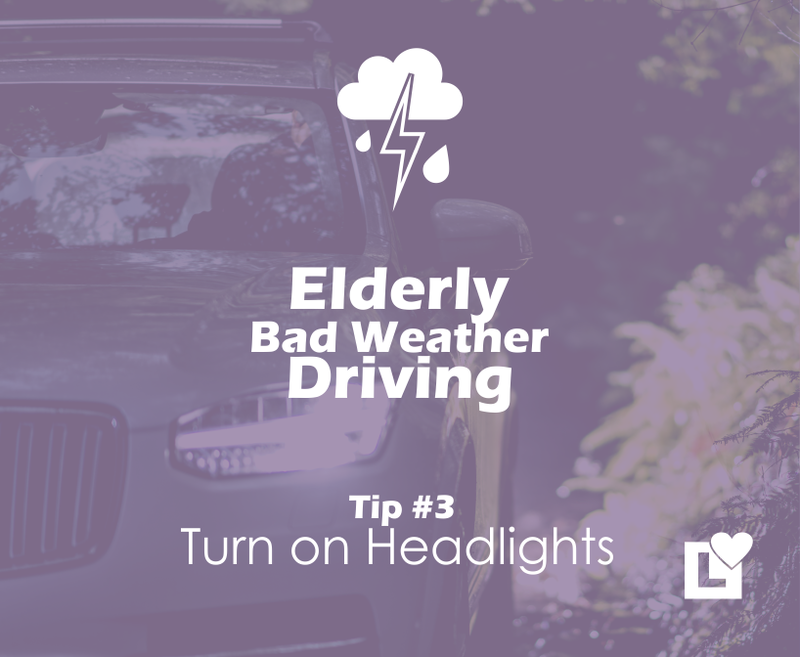 Rain only adds to the increasingly more aggressive driving habits of Californians, which yields a much higher risk for Elderly drivers during these periods of wet weather. Our roadways become a terrible event waiting to happen. Discuss with close friends and family a means to outline safety precautions for transportation, therefor creating a bad weather game-plan. 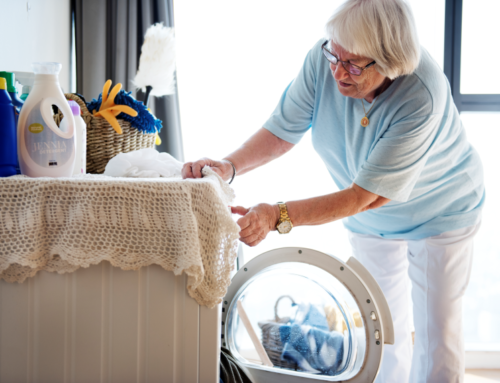 Later in the article I’ll discuss 6 ways to eliminate risk for elderly during bad weather conditions. 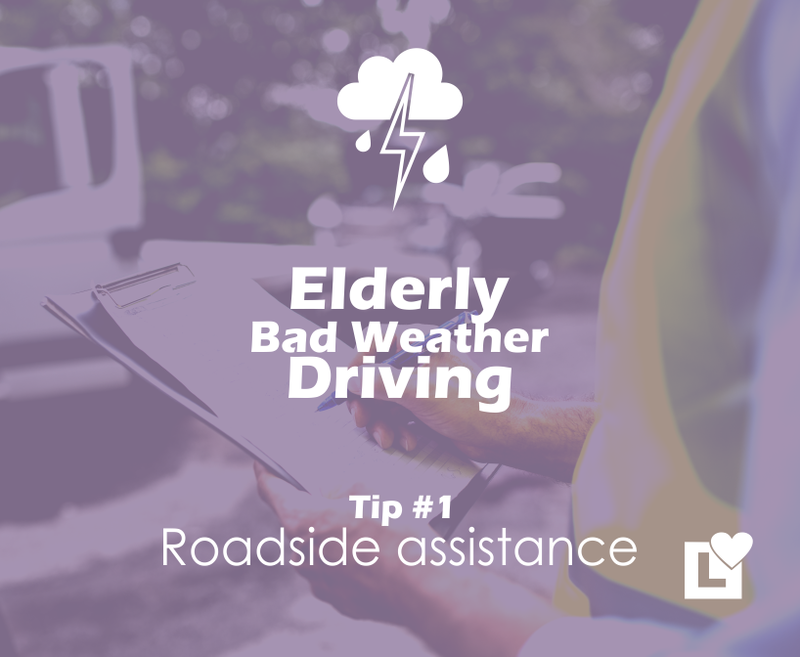 I have a Transportation Safety plan in effect with my elderly father, and It helps that he lives with me, so when bad weather is in the forecast we plan around it . We are blessed with the ability to adjust my work schedule around getting Dad to appointments safely. 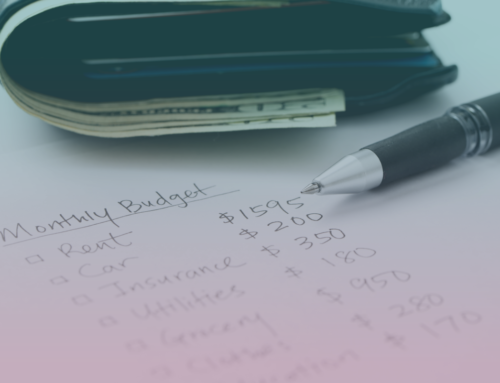 For those that don’t have the luxury, it’s more important for you to think ahead. 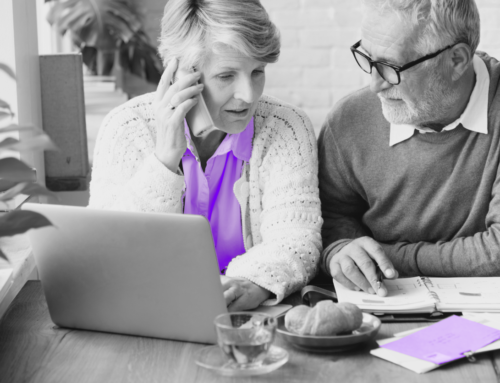 The last thing any of us want is a phone call from our frantic elderly loved one saying they’ve been in an accident, or worse, that they’ve been injured. Not only will you be sharing in the shock of tragedy, but you’ll need to stop everything and help them recover from the event. Roadside Assistance – We never know what may happen, make sure you can call on back-up quickly to get off the side of the road. 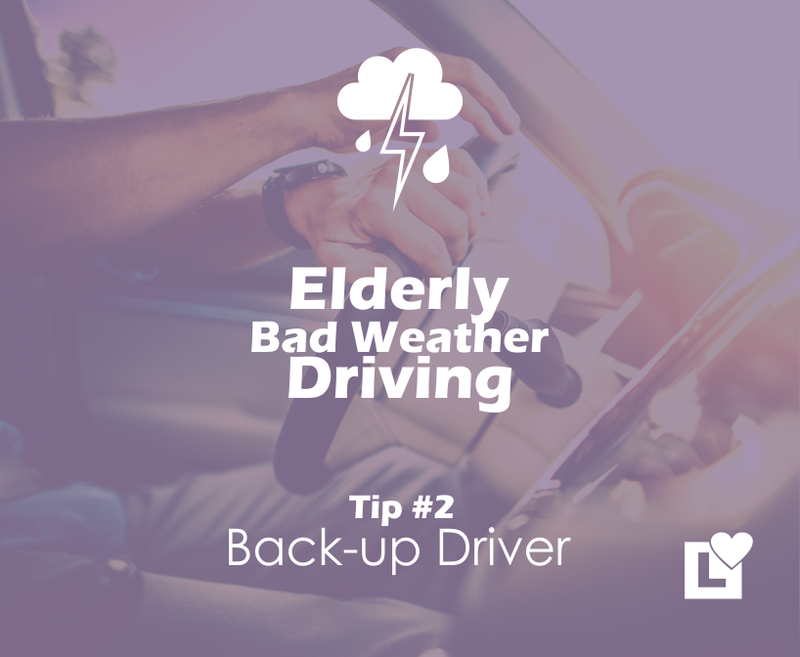 Back-up Driver – Always ensure you have a friend or family member you can call on to travel safe in slippery/wet conditions. 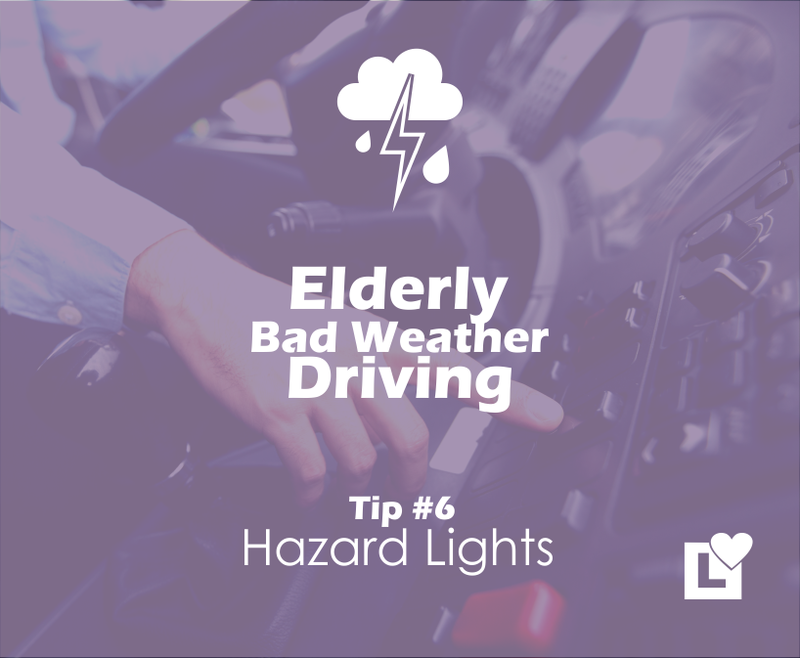 Elderly shouldn’t risk driving in dangerous weather, it’s hard to see and easy to lose control. 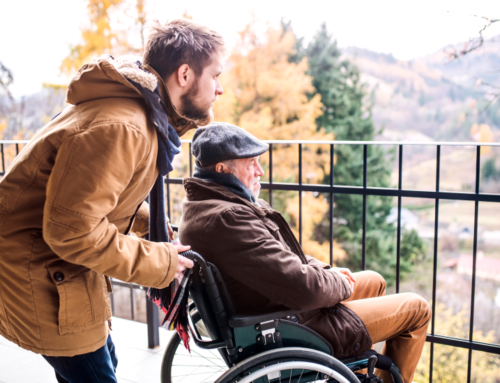 If friends and family aren’t available, use a ride service or a caregiver. Always Have Headlights on – It’s great practice to turn on headlight in all types of driving. Driving is like performing, it’s always better to be seen. 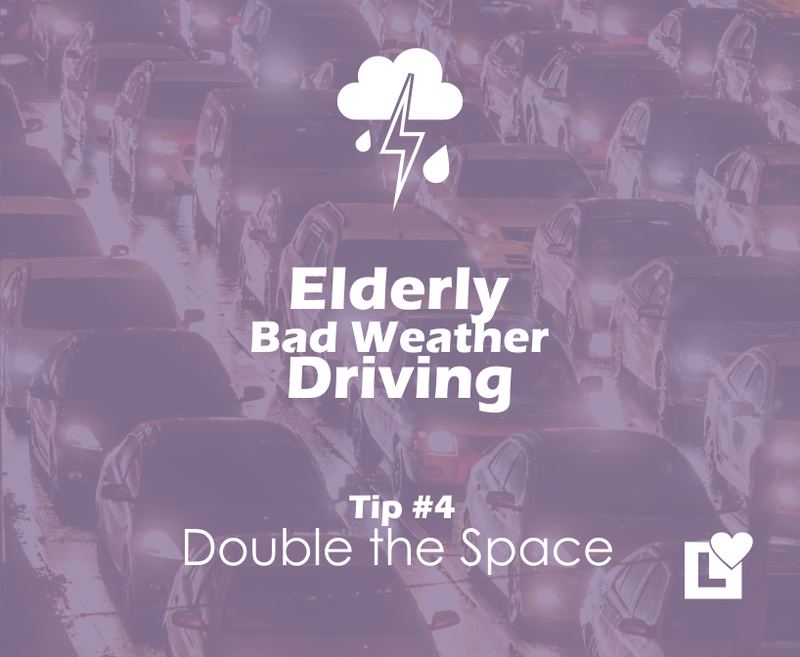 Double Your Space – You can never be too cautious while driving in bad weather. Maintain a healthy distance by doubling your normal driving space. 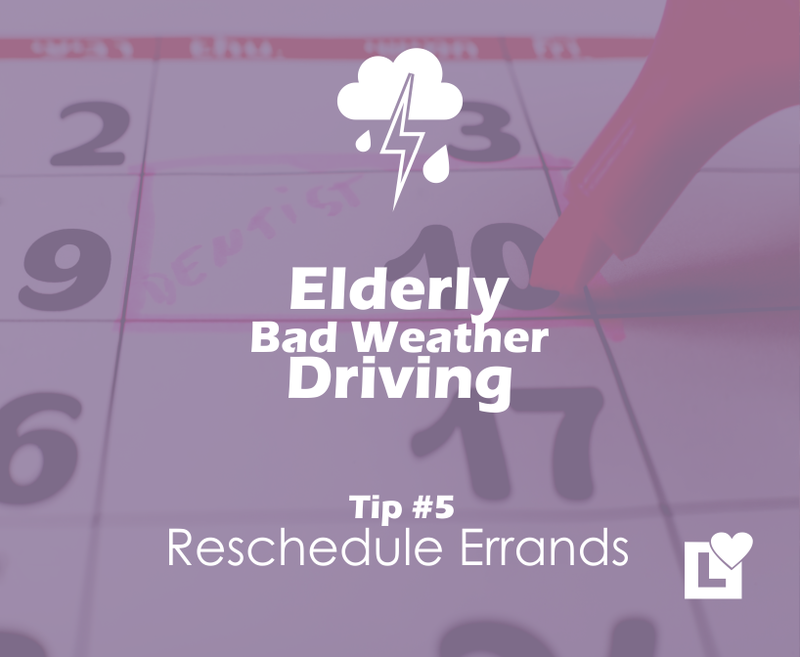 Reschedule Your Appointments – You must think to yourself, “is this trip worth mine or others lives?” Weather is beyond our control, it’s much safer to wait it out. Appointments are always manageable/movable to accommodate. 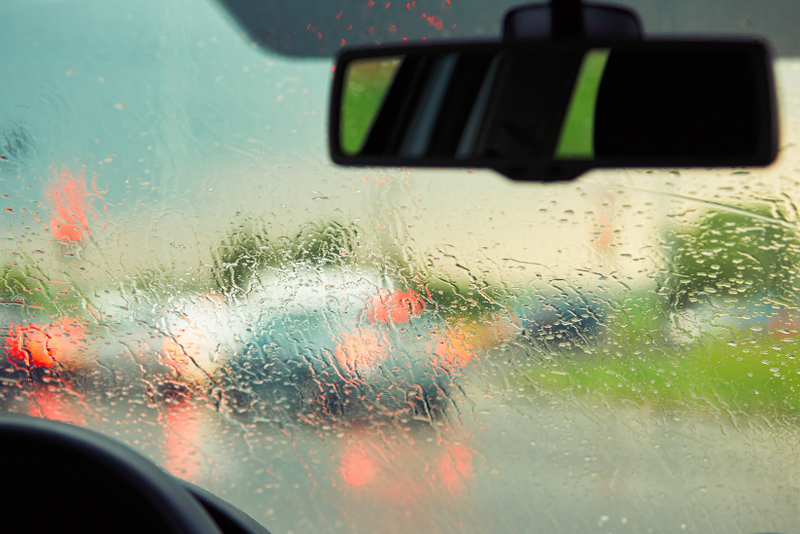 Use Flashers – In heavy rain, visibility is most important to avoid accidents. Driving slower in bad weather, too, can cause accidents. If you must drive slower than those around you, just flip on those hazard lights for extra safety. 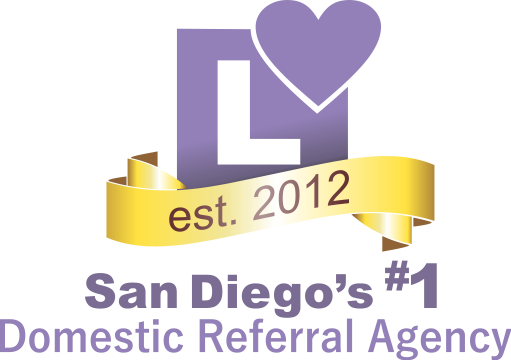 If you or someone you care about needs a safer alternative for transportation in San Diego, CA, Ask for help from family first. 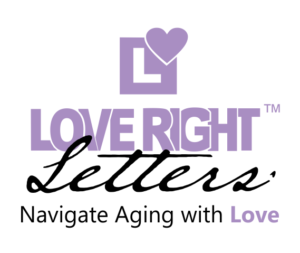 If family lives too far or works too often, call us to schedule a No Obligation CAREConsult™ with a Love Right™ Care Service Representative. 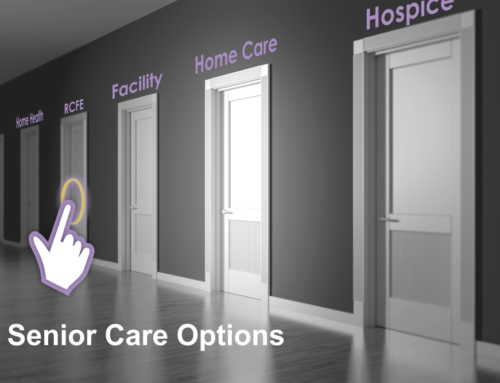 Or you’re welcome to call to find out common costs for professional caregiver transportation services.